For more details, check out Mercedes-Benz of Chicago’s below comparison of the 2018 Metris vs. the 2018 Ford Transit! Engine: The Transit comes with a 275-hp 3.7L V6 engine rated at 260 lb-ft of torque, while the Metris gets a 208-hp 2.0L turbo 4-cylinder engine rated at 258 lb-ft of torque. Fuel Economy: While the Transit offers greater horsepower and torque, it’s EPA-estimated 14 city/19 mpg rating doesn’t measure up to the Metris Van’s astounding 21 city/24 mpg highway rating. 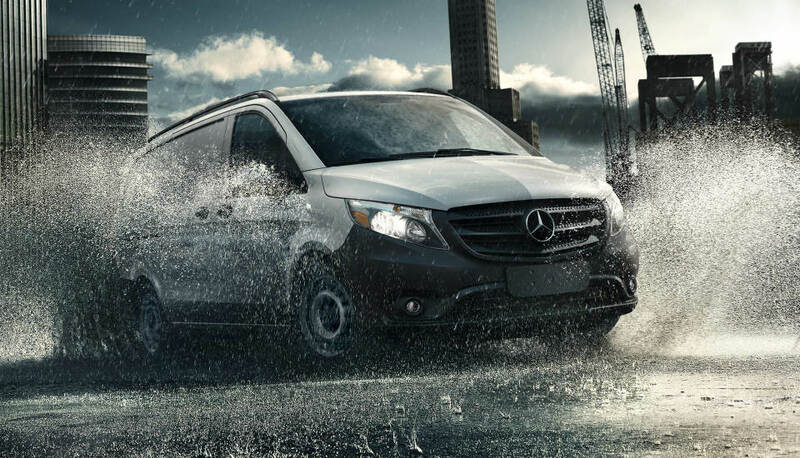 Transmission: With a broader gear range, the 7G-TRONIC® connected to Metris Van’s engine offers smoother, more intuitive handling than the Transit’s 6-speed automatic transmission. 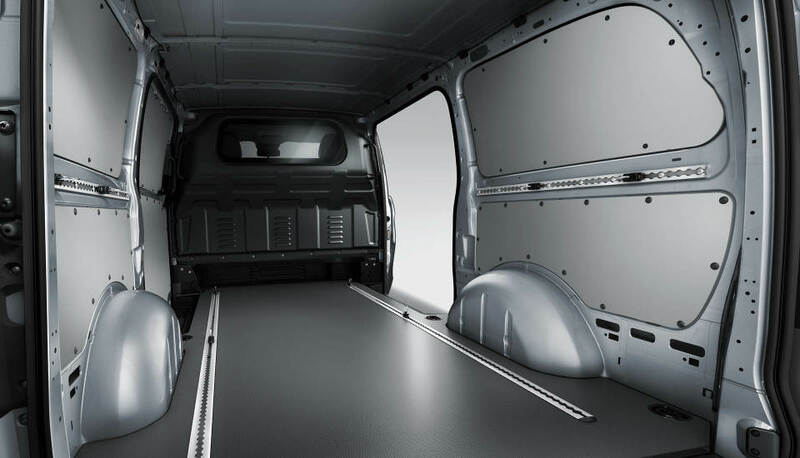 The capacities of the Ford Transit depend on the configuration—of which there are many. You can choose between a regular, long, or extended wheelbase, as well as a low (56.9 inches), medium (72 inches), or high (81.5 inches) roof. Available in just two simple yet heavy-duty configurations—Cargo and Passenger—the Metris Van measures in with a 126-inch wheelbase. With a towing capacity of 5,000 pounds, the 2018 Metris Cargo and Passenger Vans tow more than almost all of the low, medium, and high-roof Transit Wagons. Not to mention, the Metris tows more than many of the 2018 Transit Vans equipped with the optional 3.2L I5 diesel engine, which kicks the base starting MSRP of $32,285 up to $36,280 on the spot. 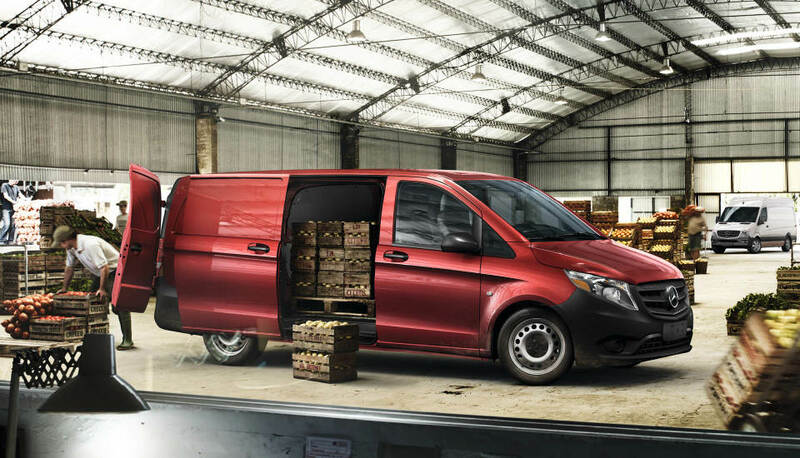 The new Metris Cargo Van starts at a much more cost-effective $25,995. While the Transit includes a rearview camera, the Metris counters with Crosswind Assist, ATTENTION ASSIST®, Rescue AssistSM, and a Load-Adaptive Electronic Stability Program—all standard. 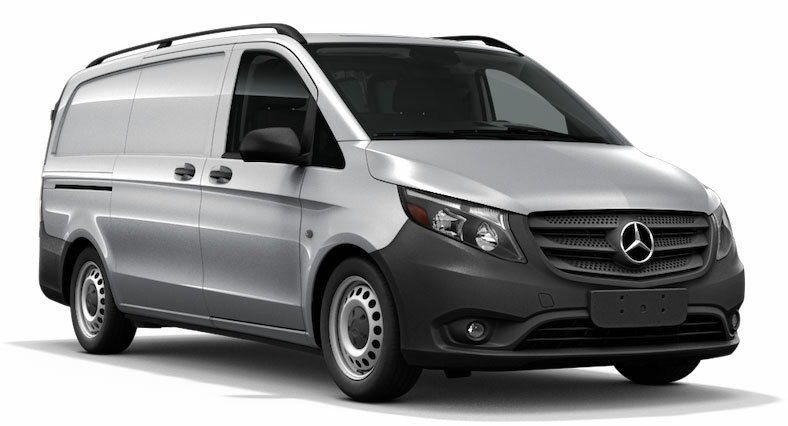 Less expensive than the Ford Transit, yet convenient to its core, the Mercedes-Benz Metris is a given for Chicagoland business owners. Step inside the Metris at Mercedes-Benz of Chicago near Evanston and Oak Park! To learn more about what you can expect from the 2018 Metris vs. the 2018 Ford Transit, contact our sales department to schedule a test drive!